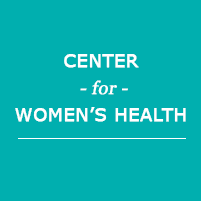 At the Center for Women's Health, the providers understand the importance of maintaining a blood pressure that falls within a normal range. Hypertension is one of the biggest health concerns for women, especially if they're pregnant. Hypertension is often referred to as a silent killer. If you live near Oxford, North Carolina, and nearby cities and towns, you're encouraged to call the facility and make an appointment for an annual checkup. Keeping your blood pressure within normal limits is essential for good health and well-being. When is a patient's blood pressure considered to be above normal? A normal blood pressure range is approximately 120/80. The first number is known as the systolic pressure and indicates the amount of pressure in the arteries during a contraction. The lower number is the diastolic rate and indicates the amount of pressure present when the heart is at rest. In most cases, the providers will allow a range of five points higher or lower to be considered as normal. This means that 115 to 125 and 75 to 85 would be considered within the normal range for a healthy heart. When the numbers begin to climb higher, you'll have a higher risk of becoming hypertensive. What are effective ways to treat hypertension? The Center for Women's Health offers several treatment options for you if you're diagnosed with hypertension. Medications are often prescribed to thin the blood and reduce the pressure within the arteries. In addition to the blood thinners and other medications, they will also recommend several lifestyle changes that can improve your health. Eating a healthy diet that's high in Omega 3 fatty acids and low in trans fats is one of the most common recommendations. The next on the list is regular exercise. Regular exercise will help you to drop any extra weight you may be carrying as well as strengthen your heart and cardiovascular system. Relaxation exercises are also recommended to relieve stress and anxiety. How is hypertension treated during pregnancy? The providers may try to avoid prescribing strong hypertension medications during pregnancy. Instead, they may recommend including positive lifestyle habits to see if they can't bring the numbers into a more normal range. Exercise especially will strengthen the cardiovascular system and increase blood flow to the baby. A nutritious diet that's full of fiber is important, as is having the right ratio of macronutrients. During the pregnancy, they will regularly monitor your blood pressure to ensure that it remains as close to the normal range as possible. If the numbers continue to rise, medications may be given in small doses to help maintain lower numbers and allow proper blood flow throughout the body.